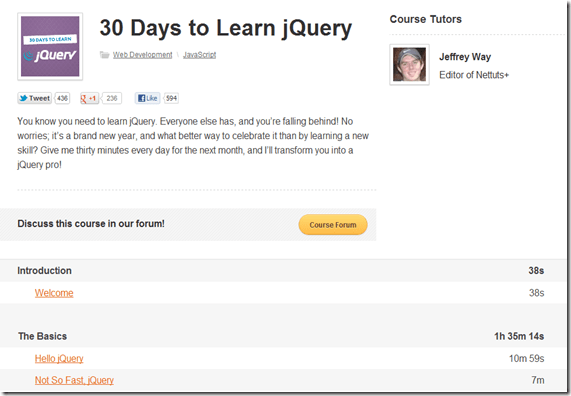 There is a free online Tutorial about jQuery in English on Tuts + premium. The tutorial includes Basics, Effects, Plugin-development, AJAX and more. The videos are from a few minutes till 45 minutes. I’ve taken a look on a few videos so far and I saw the whole “this” Keyword video – it’s worth! Maybe this isn’t a new message for you but I found it today on the mycsharp Forum.